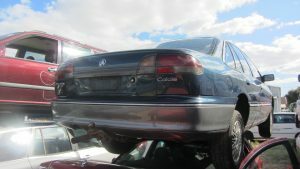 It is okay if you don’t know anything about car removal in Perth. For some of us this trend is rather new and very alien to begin with. We don’t know how they function and what makes them so capable of compensating the old car owner so generously. You will be often advised not to just go with the first cash for cars company that you find. You should take out some time to do a bit of research. Try to find which car removal firms are willing to pay for a car that is in this condition. In case you have a vintage car, understand that it will be of huge interest to a collector. So here you should try reaching out to them and get a rough estimate on your car’s worth. Now if you think that giving your old and accidental car to a car removal company in Perth is not going to cut it for you, don’t give it up. You can spend some more on that old car of yours and try to reinstate it. Obviously it will not turn as good as it was when you bought it but it can still be worth a lot of your effort and money spent on it. At times it can also make more sense for you financially because fixing up a car and getting a few more years out of it could prove to be much lighter on your budget instead of buying a brand new car. If you have already decided to go for a car wreckers firm in Perth, it is better to do a proper search of the car before you hand it over to the professionals. You might find some lost treasures in there including a misplaced necklace or a missing document. This is something even your choice of car removal professionals would advise you to do.